When starting a new job, I was introduced to an entirely new culture -- one with Apple computers. Like knowing how to take a screenshot on an iPhone, screenshots on a Mac are easy. (I promise!) Plus, there are plenty of ways you can take screenshots, which you'll find right here. When I realized I didn't know how to screenshot using an Apple product, I tried -- momentarily -- to avoid to screenshots. Turns out I couldn’t go two days without screenshots, so I searched for a tool that would replicate how to screenshot on Windows. As it turned out, and as you'll see, I didn’t need one. 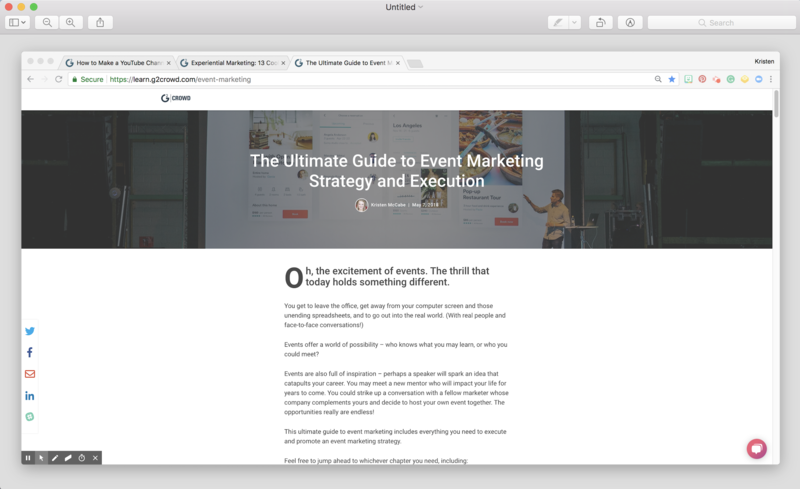 While we go through the ways to take a screenshot on your Mac, you’ll experience the benefits of screenshots first hand -- I have taken plenty of my own that I will share throughout this article! The methods discussed in this article are applicable to the latest version of MacOS; the operating system on Apple computers. 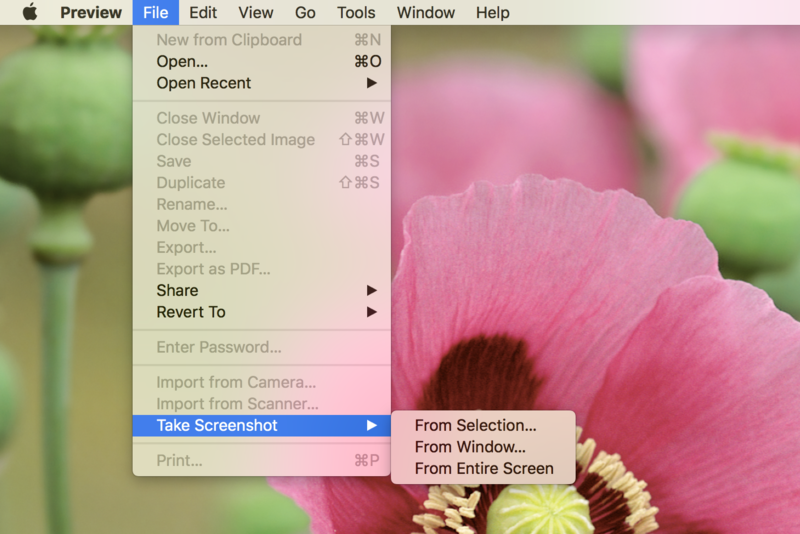 To begin with, let’s take a deeper look at the command function used to screenshot a portion of your Mac screen. This is the most common way to take a screenshot (also known as a screen grab). As mentioned in the introduction, simply press the buttons shift-command-4 at the same time. These three buttons will enable you to capture a select portion of your screen. After simultaneously pushing shift-command-4, click and drag your mouse over the portion of your screen you’d like to capture. Release your mouse to take the screenshot. Here you can see a video of how the process looks in action. For the purposes of this tutorial, I have taken a screenshot of this blog’s header. 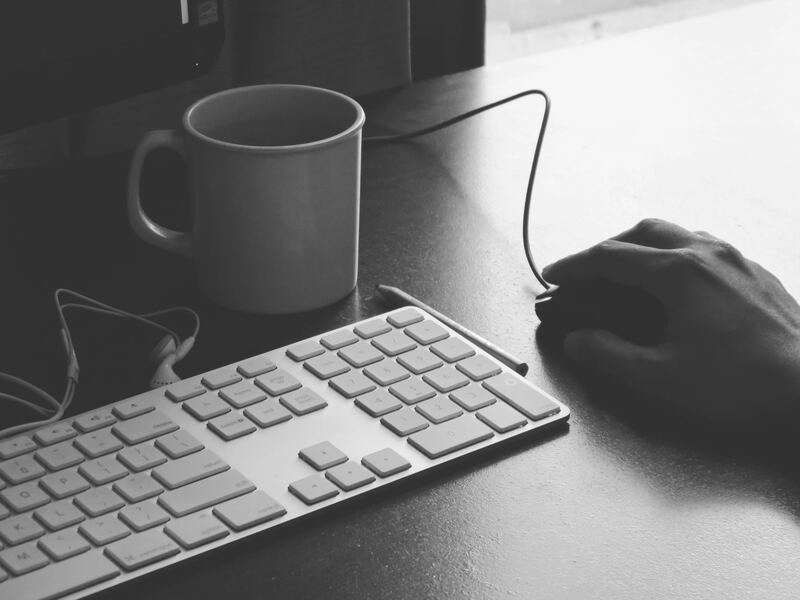 When you go through the process yourself, you’ll hear a fun sound when releasing your mouse. The sound replicates the shutters clicking on a real camera, informing you the screenshot has been taken. Now, let’s look at how to take a screenshot of the entire page. This is the same thing as the print screen on a PC keyboard. A common issue PC users face when switching to Macs is trying to find the “print screen” button. The simplest way to take a Screenshot on a PC is by hitting the key that says “print screen.” When switching to a Mac, no matter how hard you search, you won’t find that button on the top row of your keyboard. Thankfully, it is still easy to capture the entire screen on your Apple computer. The steps are similar to those we just discussed, on how to use command functions to capture a portion of your screen. The difference? Just one number! To simulate the print screen on your Mac, press and hold down shift-command-3. When capturing the entire print screen, you’ll notice one difference: there is no highlighted area showing your screen grab. When screenshotting a selected portion, we saw the cursor appear when holding down the three buttons on your keyboard, and disappear upon releasing the mouse. Even though you don’t see the screenshot process happen when capturing your entire screen, I promise it occured! As soon as you simultaneously hold down shift-command-3, the screenshot has been taken. And, if you have the sound on your computer, you will again hear the fun little camera “click” as you release the keys. With both of these command functions to capture a screenshot, you will find the image file on your computer’s desktop. We’ll look at that later on. Instead of using the command functions on your Mac keyboard, you can also take a screenshot with programs on your Mac computer. Some of these come pre-installed, others will need to obtain from the Mac App Store. Preview is the default program images are displayed with on your computer. Unless you move your screenshots to iPhoto, you are using Preview to open any screenshots and images on your Mac. You can also view a PDF file through Preview. The file formats you can view with Preview include JPEG, PNG, GIF, TIFF, BMP, and PDF. Most of the time, when you view images, they are a JPEG or PNG. 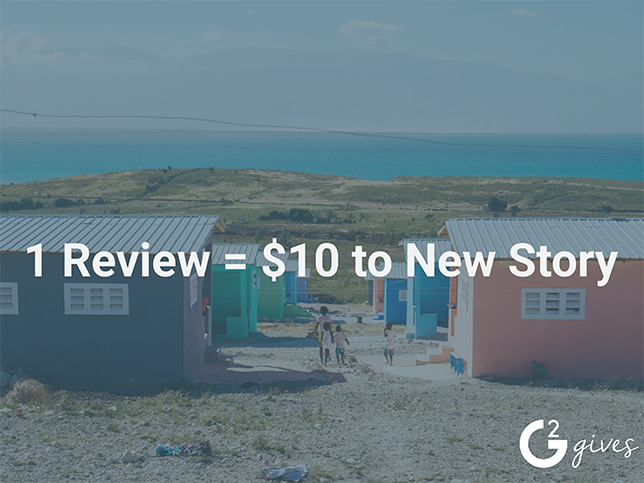 Preview allows you to do more than just view images. The program makes it very easy to edit images and -- you guessed it -- take screenshots. To take a screenshot on a Mac with Preview, start by opening the program. If you’re not sure where to find it, simply type “Preview” into the search function. This is the small magnifying glass in the upper-right corner of your screen. Then, click on “File” in the menu that appears on the top of your screen. From there, a drop down menu will appear. Click on “Take Screenshot,” and you will see three options appear. Preview also enables you to take a screenshot of a selected window. Let’s take a look at that process now. To screenshot a window with Preview, have the window you want to screenshot open on your computer. Then, bring up Preview, and choose File - Take Screenshot - From Window. Then, as you hover your mouse (aka the camera icon) over your window, simply click your mouse. The camera icon will disappear, and your screenshot will pop up in a new window. Here you can see what that window looks like. Notice that the image name (at the top center) is Untitled. Click on the word Untitled to rename your image. Click on the word “Untitled” at the top of the screen to rename your image and choose where you would like to save it. Later in this article, we’ll look at how you can use Preview to edit your screenshots, including adding the bright red arrows you’ve seen throughout this article! Skitch is a Mac snipping tool you can download from the Mac App Store. It is similar to Preview, as you can take or edit screenshots through Skitch, or using the shift-command-4 function. Many choose to use Skitch thanks to its user-friendly annotation and editing functions; we’ll look at those later in this article. Download the program and open it on your Mac. Here’s what the Skitch icon looks like on your Mac toolbar. Once the program is open, click on the small triangle pointing down next to “Screen Snap,” found on the top center of the page. Once you do so, a drop down menu will appear. Similar to other programs, you can choose if you would like to capture your entire screen or a portion of your screen. In addition, you can time your screen snap or edit pre-existing image and PDF files. 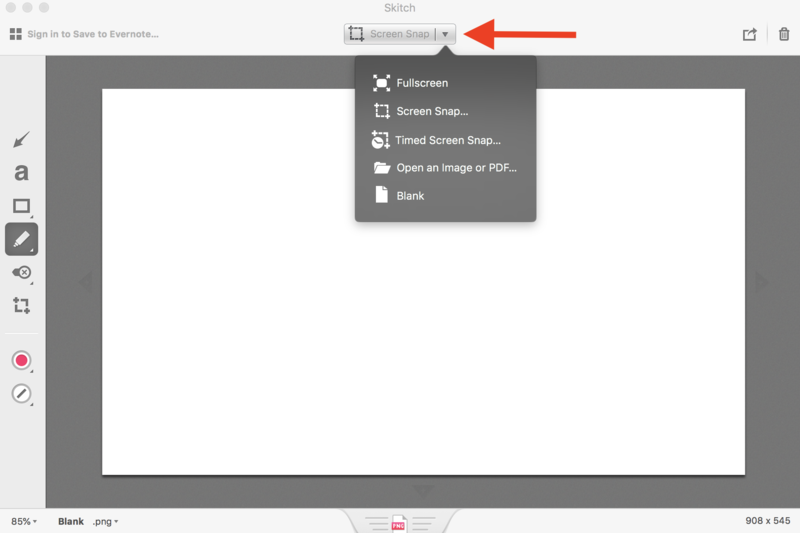 To capture a select portion of your screen with Skitch, choose “Screen Snap” from the drop down menu. As soon as you select Screen Snap, a grid will appear. Just like the shift-command-4 function, click and drag your mouse to capture the selected area. Release the mouse when you have the correct area highlighted. Now, let's look at how to screenshot with another program, Grab, which comes pre-installed on Apple computers. On your Mac, find the Applications folder. After opening the Applications folder, find and open the Utilities folder. Once you have opened the Utilities folder, find the icon for Grab. If you’re like me, once you double click on Grab, you’ll be looking for a new window to pop up. However, there’s no need to continuously double click the icon wondering what you’re doing wrong. Instead of opening a window, the Grab icon will appear on your toolbar. Click on the Grab icon. 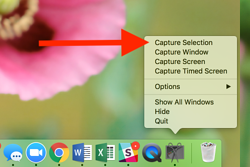 Just like Skitch and Preview, you can choose to capture a portion of your screen, a window, or an entire screen. You can also take timed screen captures with Grab. To screen grab a select portion of your screen, choose the “Capture Selection” option. Just like the other programs, simply click and drag your mouse over the area you would like to screenshot. Once you release your mouse, the screenshot will pop up in the exact place it was taken. The video shows how you can screen grab directly over that direction box, and (just like the box says!) it will not appear in your screenshot. There could be times when you want to take a timed screenshot, especially when the screenshot image requires mouse movements. 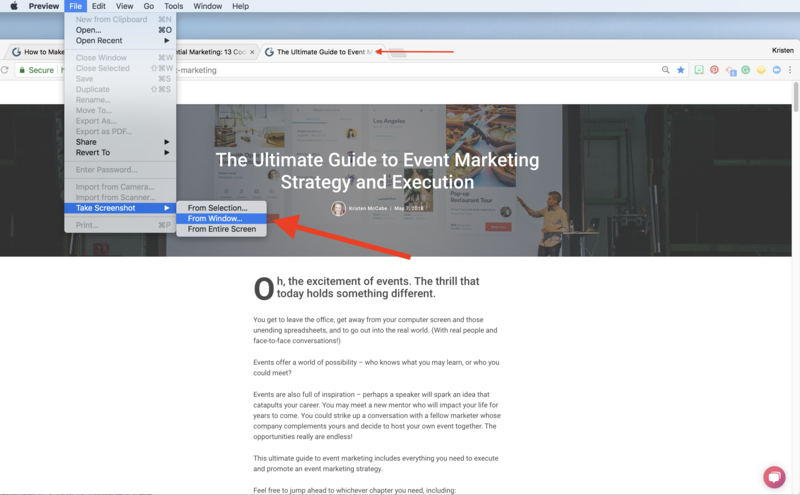 For example, you may want to screenshot a pop-up window, but it disappears or changes when you move your mouse to take a screenshot. Or, perhaps you need to take a screenshot to create your YouTube thumbnail image. The best way to get a high-quality image is by playing the video full screen. But, you can run into difficulties if your cursor or the YouTube player get in the way. These are examples of when to use a timed screenshot. Of the programs mentioned, Skitch and and Grab both enable you to take timed screenshots. The process is similar on both programs, as you experiment with both, you can see which interface you prefer. Here, we’ll look at how to take a timed screenshot with Skitch. Skitch is automatically set to take a screenshot after a five-second delay. Let’s take a look at how you can utilize this feature when taking a screen grab from your YouTube channel. 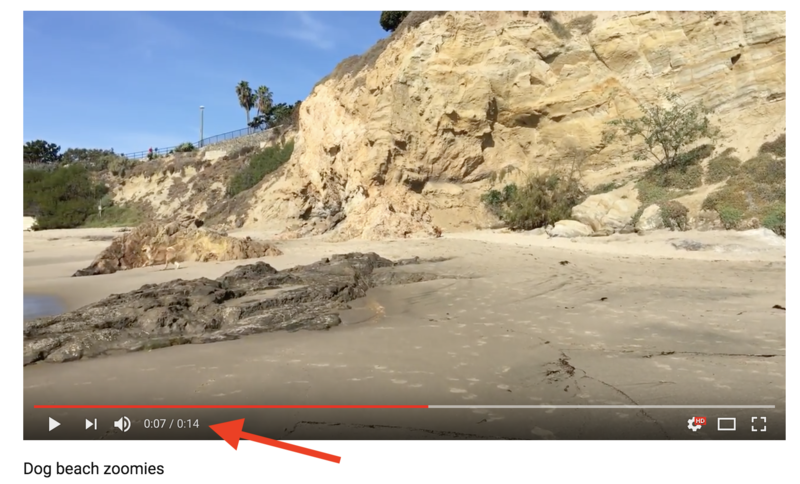 To take a timed screenshot for your YouTube Thumbnail, go to your selected YouTube video. Then, click the pause button a few seconds before the moment you’d like to capture. In your YouTube video, click and drag the crosshairs to highlight the area to capture. In this case, the highlighted area is your thumbnail. As soon as you release your mouse, the five second timer will begin. Click the play button on your video, then move your mouse out of the screen grab area. The YouTube player will disappear as your video plays, enabling you to get a clean screen grab. The trickiest part is selecting the correct area for the perfect YouTube thumbnail size. Thankfully, practice helps in that area! Now that you are a master at taking screenshots, let’s look at where to find them on your Apple computer. Where are Mac screenshots saved? After you’ve released your mouse and heard that satisfactory “click,” where does your screen grab go? When I took my first screenshot on Mac, I thought it disappeared into the abyss! It took a few moments of detective work as I wondered where in Apple-land my screenshots were saved. Thankfully, I quickly discovered the answer: Mac screenshots are saved on your desktop. This can lead to some crowded desktops! You don’t have control where on the desktop your screen grabs land, but you can move them after. I’ve walked past the desks of co-workers, only to notice, out of the corner of my eye, their desktops were full of screenshots. (At least 100 of them!) The desktop becomes so full, it’s impossible to find your newest screenshot, let alone any other folders. To avoid this problem, file your screenshots on a regular basis. My time management is highest when I file screenshots as soon as they’re taken. You can see my recent screenshots within the red boxes. Now, let’s look at what those file names mean. Take a look at the bolded words in that format. These will be customized to the exact moment the screenshot was taken on your Mac. This makes it easy to sort your files when looking at your desktop folder. 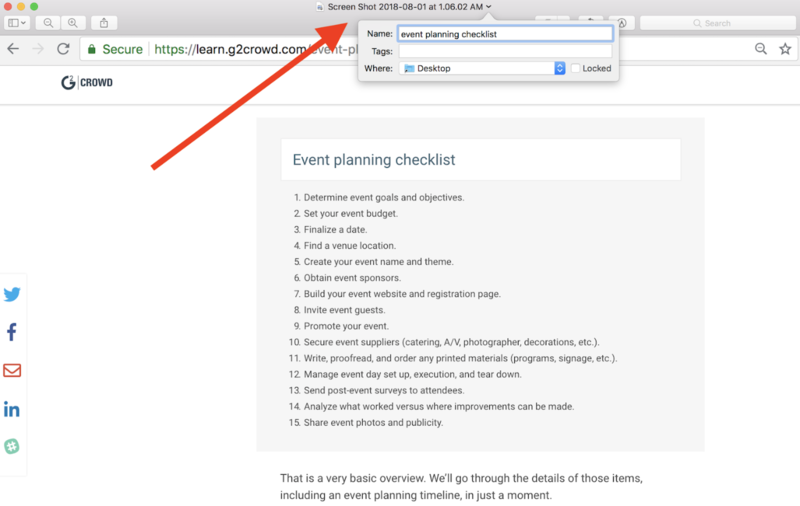 In addition, if you are using your screenshots as documentation, this enables you to keep a record of the content’s date and time. If you’d like to change the name of your screenshot, click on the file name when viewing your image in Preview. You can also click on the file name of your finder window to change it. Consider using screenshot names that are a quick reminder of the content. Try using a few screen grab programs to see which you like best. Aside from the few mentioned here, there are plenty of additional screenshot tools found in the Mac App store. Remember to organize your screenshots before your desktop gets too overwhelming, and name your screenshot files so you can reference them when needed. For other devices, use this step by step guide on how to screenshot on any device. If you're looking for more ways to capture you screen, including video options, check out reviews of screen and video capture software on G2 Crowd!